Here's an easy magic trick that just about every magician has played around with at one time or another. It's a mind-reading effect and that is available for under ten dollars at any magic dealer in various versions. The trick is quite baffling but easy to learn and perform. I highly recommend this one to beginners and you may find cheap versions in some beginning magic sets. 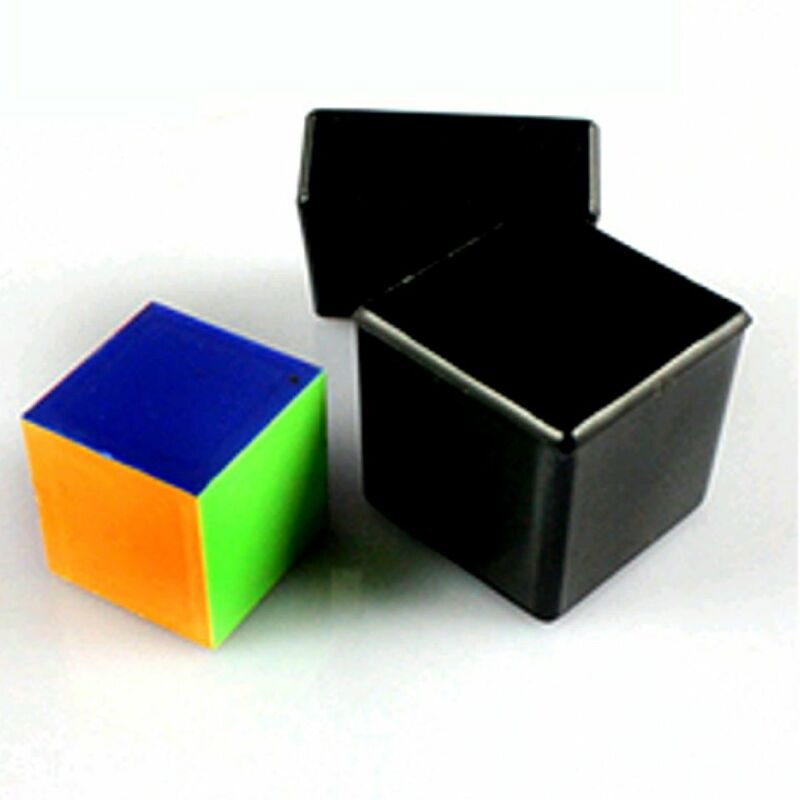 The color cube consists of an opaque box, a lid for the box and a cube with different colors on each side. As you turn away, the spectator places the cube in the box and selects a color that will be visible when the lid of the box is taken off. The spectator remembers this color. With the lid on the box, you can't see the cube or the selected color. The lid is placed onto the box and given to you. Within seconds, you tell the spectator the color that he selected. You then open the box to verify your statement.